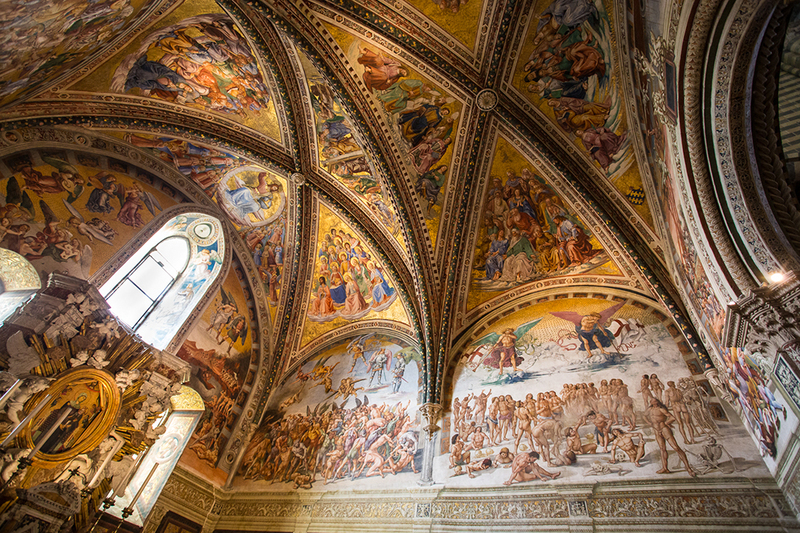 ‘Signorelli’, the second track on the EP, is named after Italian Renaissance painter, Luca Signorelli. As you can imagine, staring up at these graphic and dramatic scenes, painted in large scale across entire walls, left a strong impression on a young mind. I wasn’t raised religious so, despite being aware of their Christian context, I observed the paintings with an approach more akin to how a child digests a thrilling and treacherous fairy tale, much like Hansel and Gretel or Little Red Riding Hood. The work was frightening but very intriguing. were directly inspired by the painting and its contorted human bodies tumbling down from the sky above. If you look closely at the painting, you'll spot a woman on the back of a flying demon at the center of the piece. Legend has it that this woman is a depiction of a real-life lover that scorned Signorelli during the painting of the fresco, which prompted him to immortalize her in this way. The lyrics for 'Signorelli' also speak of once youthful expectations of grandeur that fade over time and become replaced by a creeping feeling of “is this all there is?”. Perhaps this aspect of human nature, too, can be traced back to the painting and its depiction of humans being judged at the End of Days. Listen to ‘Signorelli’ in its entirety on Spotify, Bandcamp, or any of the other streaming platforms. Or check it out below. Scroll down for the full lyrics. Is it you, or your mother?